Bidossessi Alahassa is a network and security engineer. He graduated from Royal Military Academy of Brussels and has worked on WAN network and security designs since 2012. He is interested in operating systems, networking, security and IoT. 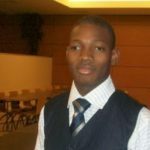 He is currently mainly working in the framework of his post-graduation on topics such as IoT and Interoperability for medical applications.